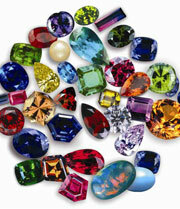 Get Detailed Astrology and Gemstones From Astroapollo.Net Pvt.Ltd. It is always advisable to wear the rings of different gems on different fingers . As a general rule, the ring finger is the best for wearing rings, but as each finger is related to a particular planet, the ring should be worn on the finger connected with the planet .This belief is quite popular and sometimes we see people wearing rings on many fingers. There is also distinction between the right and left hand: the right hand is solar and the left hand is lunar. If a person seeks balance in life then he has to wear a ring with the gem, related with the planets Sun, Mars, Saturn,Rahu and Ketu on the left hand(i.e solar gems on the lunar hand). 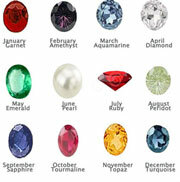 The gems related with Moon, Mercury, Venus and Jupiter should be worn on the right hand. Hence wearing gems on the appropriate fingers, would bring good health, prosperity, name and fame, saves one from wild animals, accidents, evil effects of poison and negative effects of ill-aspected planets.